Guest post by Colleen Kinsey, editor-in-chief of Coustii. Even if you are a professional ukulele player, having an out of tune instrument is going to make you sound horrible. We’ll teach you how to tune your ukulele and keep it in tune. Different ukes will hold a tune better than others, it’s best to check every time before you play. The most common tuning for a ukulele is G-C-E-A. This tuning is pretty typical for soprano, concert, and tenor ukuleles. If you are used to playing a guitar, the four stringed concept with a uke is much less than a 6-12 string guitar. From the image below you’ll see the top string, or fourth string, is G, then C, E, and ending with A on the first string. The standard ukulele tuning of G-C-E-A can be tuned one of two ways, reentrant or linear. Reentrant tuning strings are not ordered from the lowest to highest pitch. This can be confusing if you’re used to playing a guitar. What are other ukulele tuning options? Baritone ukuleles, and sometimes tenor ukuleles, are tuned to D-G-B-E, or standard ukulele tuning. An easy tip for tuning a baritone uke, is to remember that the four strings are the same as the four highest-pitched strings on a guitar. This means you can also use guitar tuners to tune your ukulele. English tuning, A-D-F#-B, has sweeter tones, because the strings are tuned up one whole step. You’ll find this a lot with soprano ukuleles. And lastly, we have Canadian tuning (low) A-D-F#-B. Canadian tuning is very similar to English tuning, except each note is tuned down a half step. This is popular with your concert and tenor ukes. What are the different ways to tune my ukulele? To adjust the pitch of the ukulele strings, loosen or tighten the tuners or tuning pegs. Tighening the strings will raise the pitch, and loosening the strings will lower the pitch. The direction you twist the tuners can vary by instrument. You can tune your uke by yourself, with a gadget, or with others, if you’re getting ready to do a gig. It depends on what you have going on around you and what/who you’re with. If you’re all by your lonesome and have no tools, gadgets, do-dads, or friends with instruments to create relative tuning, you can tune your uke by yourself. Yay for being independent! The relative tuning method, or tuning by ear, isn’t as accurate as others, but is still doable. It may take some practice to tune your ear to the different tones, but it’s an easy, uncomplicated way to tune your ukulele on the go and without any assistance. How do I tune my uke with a piano? Having a reference instrument, is an easy way to tune your ukulele. With a piano handy, you can follow these easy steps. There are two types of electric tuners. You can opt for a ukulele tuner that has a built in microphone to gauge the sound of your ukulele. Another option is to buy a tuner that attaches to your instrument and detects the strings’ vibrations to identify the tone. Electric tuners are one of the easiest ways to tune a ukulele. They aren’t always easily accessible or may not be ideal for the uke player on a budget. 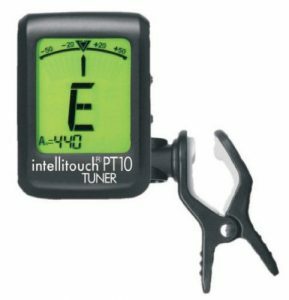 Personally, I use the Intellitouch PT10 tuner. It works for both guitars and ukuleles, which is great for the versatile musician. Another benefit, is this gadget works well even in loud or crowded rooms. I find it very accurate and like being able to just take a glance at the headstock while I’m playing to see whether I’m in tune. After reading through this article, you now have an understanding of how to tune your ukulele three different ways: by ear, with a piano, or with an electric tuner. Now you can be prepped and ready to go whether it’s before a gig in front of all your fans, or before you start a jam sesh on your couch at home. Do you need more help getting started on the ukulele? Check out our new ukulele instruction book by Ted Parrish and Wayne Erbsen, ‘Ukulele for the Complete Ignoramus’, available on our website and Amazon. I got an electric ukulele tuner and it has been a huge help! So much easier than the other methods, and very affordable as well. Any tips on preventing your uke from going out of tune while travelling? This is helpful tips for Ukulele player. Hello, it may sound stupid but can anyone tell me the difference between an acoustic bass and a ukulele? 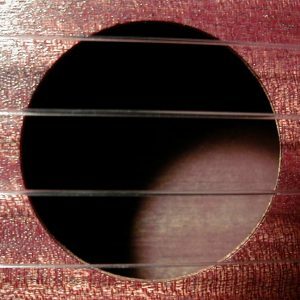 Hi- acoustic bass and ukulele are entirely different instruments in terms of construction, size, tuning, range and the musical role that they play, so we can’t list all of the differences. To get you started, a bass is tuned E-A-D-G, and a ukulele is usually tuned g-C-E-A. 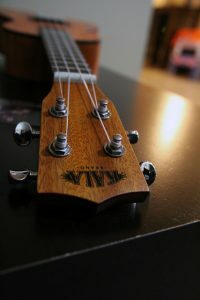 I guess you want to know what is the difference between an acoustic bass and the bass ukulele? Well, the bass ukulele is a pretty new hybrid electro-acoustic instrument, a combination of a Baritone Ukulele and a Bass Guitar. 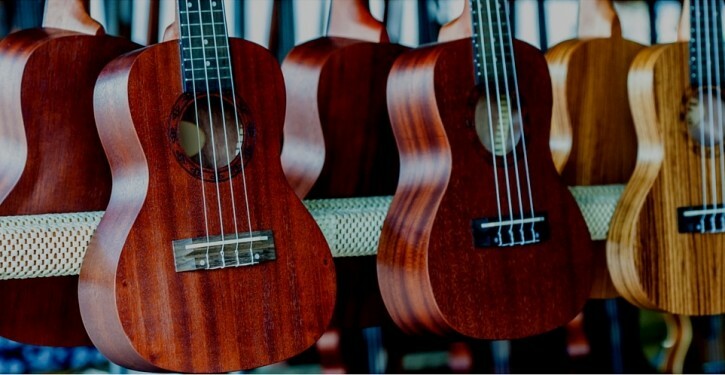 The bass ukuleles range from 30-32″ in length. The Bass ukulele is tuned in traditional bass tuning (EADG) but one octave up. There are also Contrabass ukuleles, and also play the same notes (EADG), but at the same octave as a standard bass and produce the same pitches as a standard bass guitar. The idea for the bass ukulele came from a company called Road Toad. Hi. 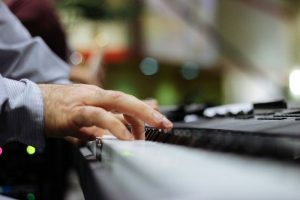 If you were successful in tuning each string using one of the methods in the article, they should sound good when you play chords. What method did you use to tune your uke? If a beginner, the easiest way to tune your Ukulele is using tuner apps for smartphone. I used to TuneFor Ukulele app. It is designed for the tuner beginners.